HOUSTON (KTRK) -- It's a $37 million, 15-year contract that has been delayed, questioned, mulled, pulled and fought vigorously over for the last year. But it will not be final this week. Council member Mike Knox tagged the item, allowing for a one-week delay. That one-week pause came after little discussion with the council. "When I looked at 'experience and qualifications', which Waste Management has been doing 100 years and I think FCC has been doing five... I came away more confused than before," council member Dave Martin said. Martin has been an outspoken critic of the process that went on behind the scenes to award the contract twice to the same company. Wednesday, he said he'll end up supporting this deal. "I think FCC will do a good job," Martin said. "I think we're making a good decision." 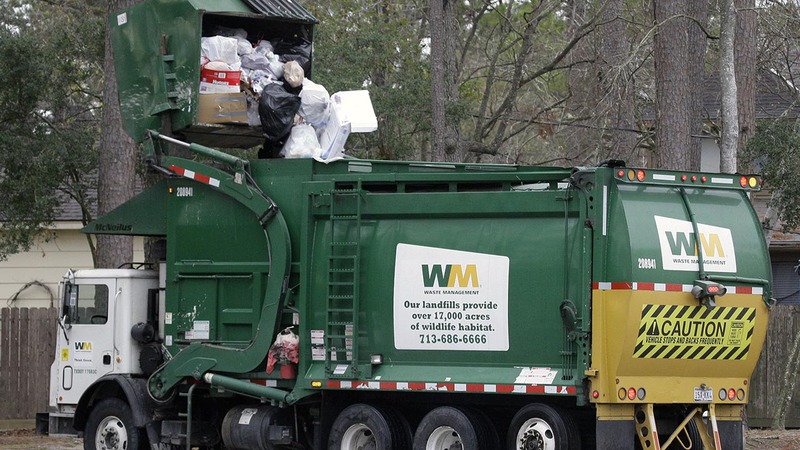 The contract is for collecting recycling in the city of Houston. The problems raised by council members, among others, speak directly to how the Spanish company FCC Environmental was selected by the city of Houston. City controller Chris Brown held the process up for a week, citing "unusual" secrecy over the deal. Key documents were lost in Harvey. Council members have wrangled with the city's procurement department, who, along with Mayor Sylvester Turner, say the process was fair, open and transparent.